When asked about who is more difficult to bowl to, the Proteas legend said that both the batsmen are equally good and would have remained neck to neck if they were playing in the same era. Hailed as one of the greatest fast bowlers of all times – South Africa’s Dale Steyn is a sight to behold when on full flow. In his heydays, Steyn used to terrorize the best of the batsmen with his fearsome pace, brutal toe-crushers and on-field aggression which is simply impossible to replicate. However, despite all these traits the Phalaborwa-born pacer never crossed the line with their opponents and exemplify unmatched sportsman spirit in the gentlemen’s game. Recently, during an interview, Steyn was asked to pick between the ‘God of Cricket’ Sachin Tendulkar and ‘King’ Virat Kohli. Tendulkar remains the game’s highest run-getter in Tests and ODIs, whereas, the current Indian captain has emerged as one of the most prolific run-getters in world cricket and is also the top-ranked batsman in both Tests and ODIs. With all the expectations and burden of being called as the ‘greatest fast bowler of this generation’ – Steyn has given his own verdict on the never-ending debate between two stalwarts of the sport. In his own assessment, Steyn threw his weight behind the original master blaster (Tendulkar) and believed the game has changed a lot since Sachin’s days. He also recalled how Sachin became the first batsman to score a double hundred in ODIs. However, when asked about who is more difficult to bowl to, the South African great said that both the batsmen are equally good and would have remained neck to neck if they were playing in the same era. 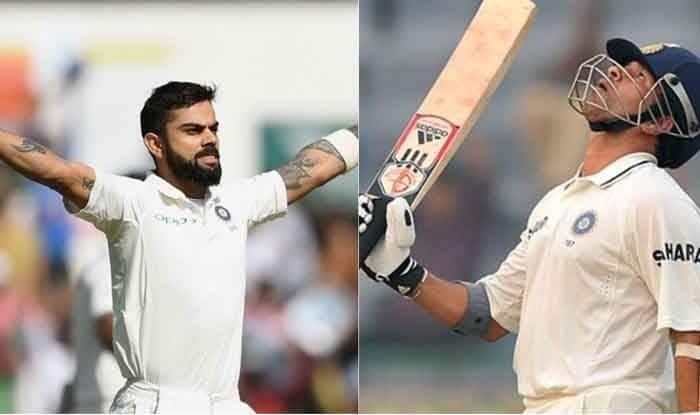 Both Sachin and Kohli dominated during their respective era’s and will go down in the history as the finest batsmen ever to have played the game. “The game has changed a lot since Sachin’s days. He was one of the pioneers for getting the game to push in terms of rate. He was the first guy to score a double hundred in One-day internationals. Whenever we played against them in India, he was always with a strike rate of above 100, while others used to remain around 80. However, these days 100’s are a norm. There are lots of Sachin’s out there today. Kohli is a fantastic player. Had Sachin played in the same gear as Kohli, who is in the best form of his life right now, they would have been the same,” Steyn was quoted as saying by NDTV. The 35-year old is one of the very few bowlers in the world who had been fortunate enough to play against two of the probably greatest batsmen of their eras – Tendulkar and Kohli. In the twilight of his fabulous career, Steyn-gun looks all set to deliver his best shot one last time by leading South Africa to their maiden World Cup title victory in England next year.